I was reading Wired and then I read your example of three states of government. I suddenly realized you discovered something that was unbelievable. You constantly mention that everything is complex like an onion. I know you have also a physics background. You talk about chaos and patterns upon patterns. I read the introduction you handed out at the conference for your forthcoming book you called the Geometry of Time. You have solved the mystery of the universe the legendary Borromean rings. This is why you always say it is not a one dimension relationship of just black and white. Everything is Pi and this is how your cycles function and your reversals are incredibly accurate performing like strange attractors. This is why you have guarded your model so carefully. My whole life has been physics. You have proven the Efimov Effect beyond what anyone has imagined. Please, for those of us who have the understanding of the existence of such complexity, I will volunteer to help you finish the Geometry of Time. This is astonishingly important far beyond economics and social science. ANSWER: I must say, you should get the Sherlock Holmes award. Yes, this is a key revelation I am presenting in “The Geometry of Time”. I do not write about such deep topics here because I fear it would be way over the top for most, since this is not a physics forum. The key to the universe is complexity and it is beyond a simple black and white reality. This is why most people get lost and cannot see this third dimension. 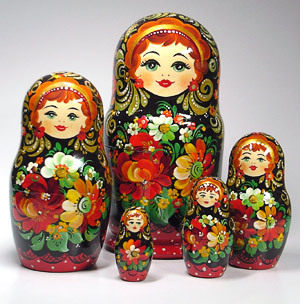 The Russian nesting dolls are fractal in nature. It denotes a recognizable relationship of “object-within-similar-object” that appears in the design of many other natural objects within nature. This is a state of balance; Russian nesting dolls were predicted by Efimov. 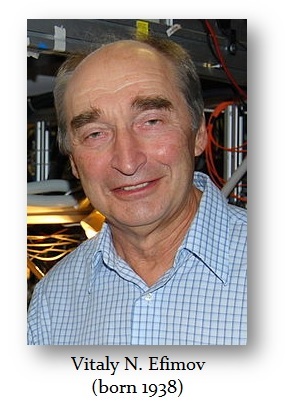 The “Efimov effect” is an effect in the quantum mechanics of few-body systems, predicted in 1970 by the Russian theoretical physicist V. N. Efimov in his fascinating paper “Energy levels arising from resonant two-body forces in a three-body system”. Efimov’s effect refers to a scenario in which three identical bosons interact, with the prediction of an infinite series of excited three-body energy levels, when a two-body state is exactly at the dissociation threshold. In other words, there is a bound state (called “Efimov states”) where three bosons, even if the two-particle attraction is too weak to allow two bosons to form a pair, the two-body sub-systems are unbound, but if one of the particles is removed the remaining two fall apart. In this case, the Efimov state is also called a “Borromean state”, which is often represented by the Borromean rings. 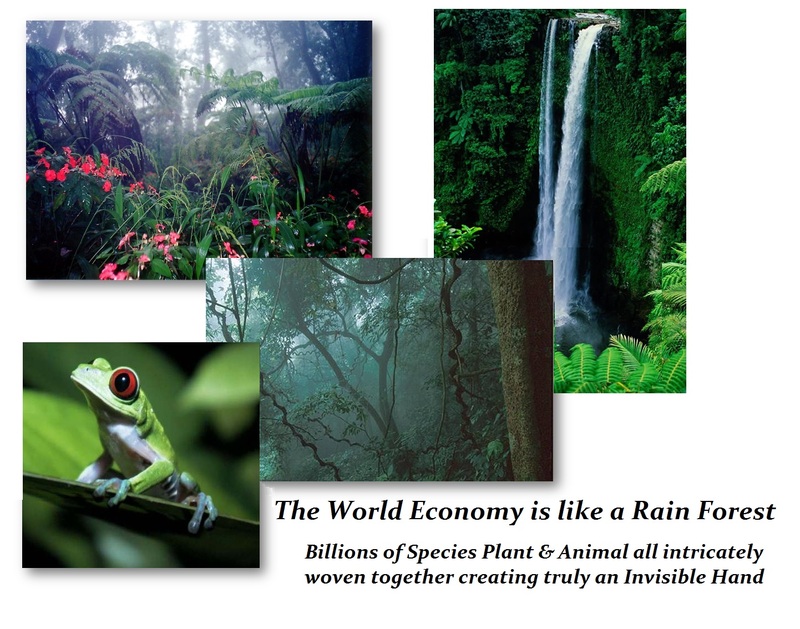 I have tried to explain this degree of complexity as a rain forest, for that is in the real world and people can visualize it easier, I believe. Nevertheless, I will address what I can. This design of three interlinked circles known as the Borromean Rings that together form an inseparable unity producing an object that is stronger through the complexity. However, if you remove one ring, the other two fall apart. This pattern of circles is far more complex than at first glance. The interlacing produces six vertices by a crossing, indicating how the circles pass over and under one another. Since there are two choices for each crossing, the black and white reasoning is rather simple. Now enters the third ring. Suddenly the number of possible choices over or under for each ring produces a complexity of possible pattern combinations that mathematically works out to 26 = 64 possible interlaced patterns, which is a number almost twice that of pi. Suddenly we go from an over or under choice with just two rings to a whole new world of complexity with just three rings. If we now take into account symmetry, these 64 possible combinations are reduced to only ten geometrically distinct patterns. Because of this property, they have been used in many fields as a symbol of strength in unity. Perhaps I have solved the Efimov effect beyond what anyone has imagined. I have relayed this as WE ARE ALL CONNECTED. It is that bond which makes the world economy function. We disrupt it, acting unilaterally such as FATCA, and that is tearing apart the complexity placing the entire world economy in danger. Instead of reforming a faulty system, governments are trying to force their dictates. They are enforcing taxation and destroying the economy all because of their self-interest in sustaining their power. 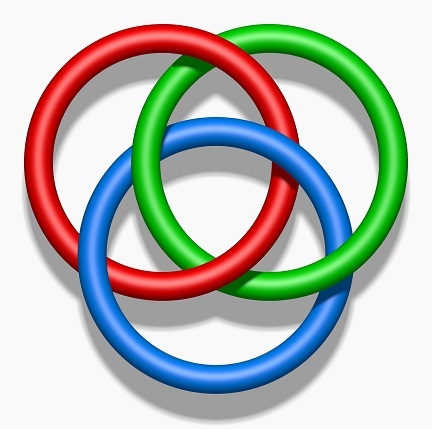 They cannot see the complexity or that removing the third ring (inter-connectivity of people) breaks the bond that holds society together. This is the door to total chaos and a Dark Age.